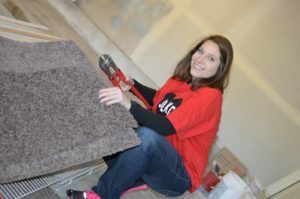 The JLKCMO Action Team, or A-Team, volunteers fulfill requests from Kansas City area nonprofit agencies and organizations for short-term volunteer needs. Agencies and organizations interested in A-Team volunteers are invited to complete the A-Team Volunteer Request form below. Please read more on our A-Team Info Sheet, and contact the Action Team with any questions.